Write Me A World: Awesome Library Campaign! I've been playing catch-up with the blog world lately because we're getting busier and busier at my day job. The exciting news is that part of my work-work is the result of a book launch I'm managing, so you'll soon be getting some great insight posts about that process. 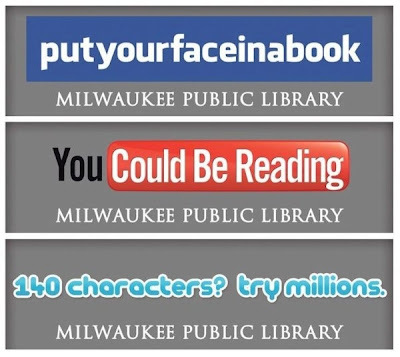 In the meantime, check out this amazing ad campaign from my local library. I saw one of their billboards driving home the other day and wanted to cheer! Love the creativity! 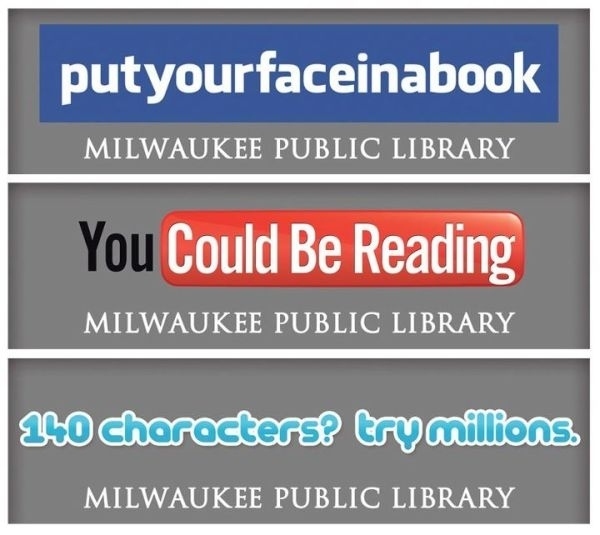 I've never been to your library, but I officially love it now. Oh... those ARE good! Thanks for sharing!